Unquestionably the best hairdressers in Chiswick. 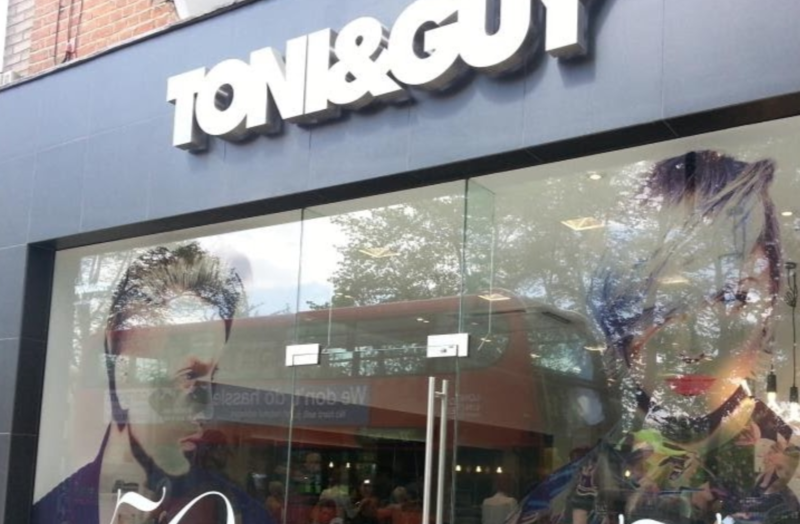 TONI&GUY burst onto the High Road in 1996, and has gone from strength to strength. This award winning salon and team currently hold the L'Oreal Colour Trophy title for the Mizani (Afro) category. They were also Regional Finalists for L'Oreal Colour Trophy Women's category. The stylish salon blends London cool with a relaxing village vibe offering the highest standards of hairdressing service. Our talented team of stylists and technicians are on hand to create fashion fabulous hair that is individual and easy to manage. We offer many additional services such as Bridal and Occasion hair, and the semi-permanent blow-dry treatment, NanoKeratin. Clients are also welcome to seek the advice of our Strength in Style consultants in association with Macmillan Cancer Support. Our wide range of retail products include, label.m professional and Kerastase, Mizani & GHD to ensure your hair stays salon perfect until your next visit. Terrible experience. Went in because my hair needed some tlc. Hair is snapping off now after the intense heat from blow dry. No heat protection on. So upset. I had a haircut from one of your hairdressers which was what I requested, the lady was very professional aswell. As soon as I left I realized that I left my backpack in the shop. I was in a rush and I tried to call the shop and inform the staff that I wanted to pick it up the day after. Two guys were very rude and not professional, answered the phone and passed the phone to each other, it was very confusing. I found that a disgrace for any company and lack of professionality when staff are not able to answer the phone and treat clients with respect. I want to add that I won't go back to your shop and company anymore. It was very pleasant. The technician is friendly and professional ! I was not happy with the customer service I received. My hair was unevenly coloured after i spoke to the owner on reception who was the most rude unprofessional lady I have encountered for a while. I will not go back !! Esther was fab as always! I have been coming to Tony and Guys for about 7 years. I love everything about this salon - great cuts by Graham and Ivana , lovely colouring by Charlene and so efficiently done. The atmosphere, friendly chat and professionalism of the staff make me look forward to every visit. As always a lovely hour at Toni and Guys being looked after, chatted to, spoiled and having my hair cut. Great cut and service as always!! bailey was great all the way. First time he coloured my hair and he is really good. Friendly and efficient! Going to Toni and Guy in Chiswick is a wonderful experience. It’s hanging out with friends who give you a haircut whilst you’re there! Never rush to leave... great team, and led by the wonderful Graham! Mark as per use is an absolute legend. Style on fleek. Great care and service. An experience which makes you feel and look better! Isn’t the point of getting your haircut to make you feel and look better! What can I say! Hit the mark! Felt great after and look great too! Thank you Ivana & Team!! !